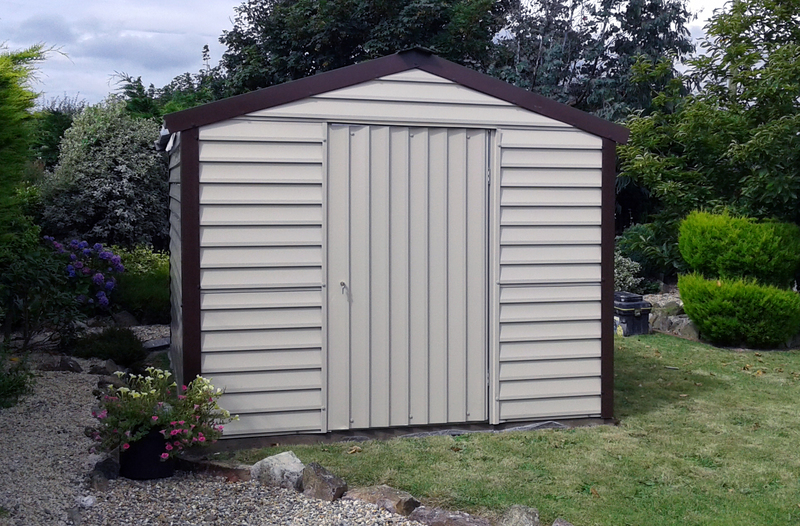 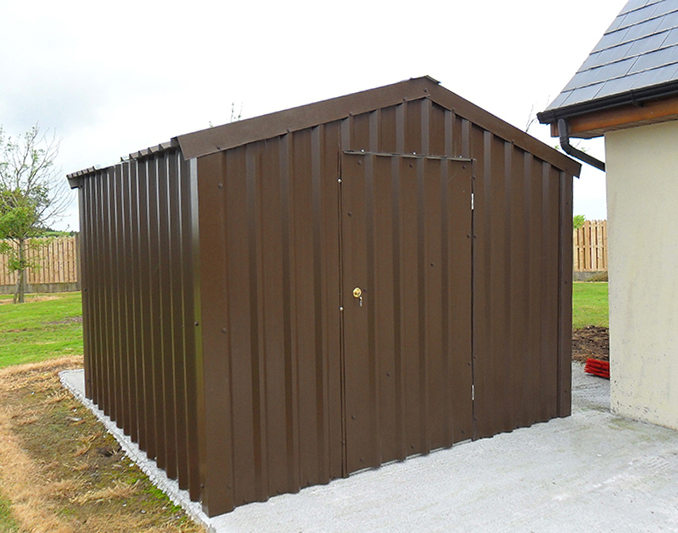 Our Steel Shed range is ideal for those seeking basic garden and/or general home storage and are available in a range of sizes and colours to suit any garden or purpose. 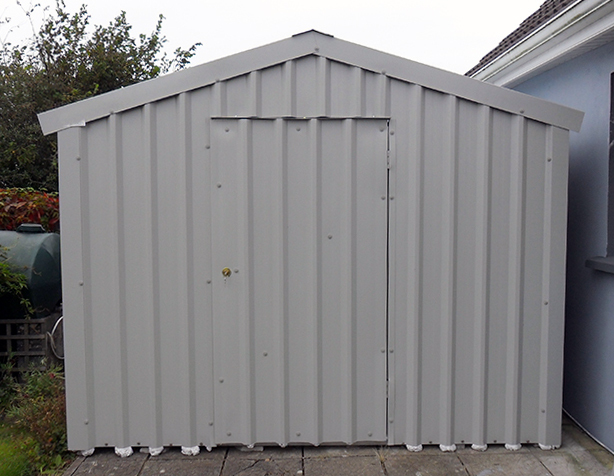 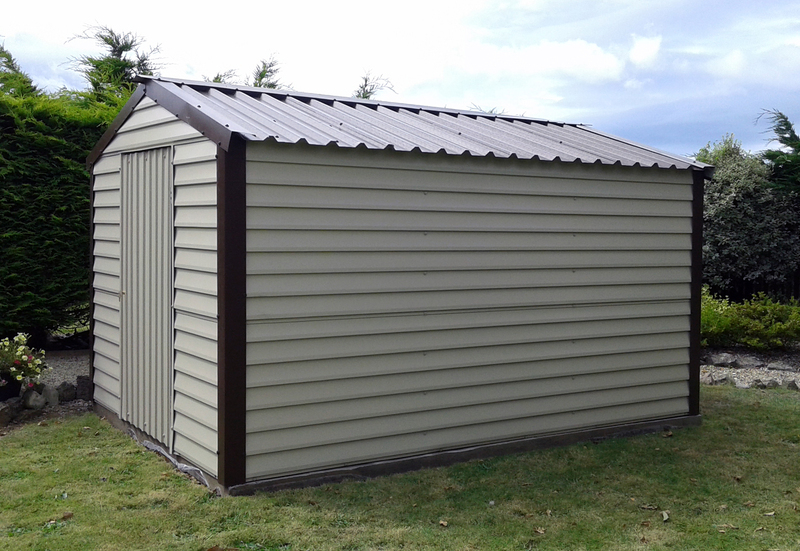 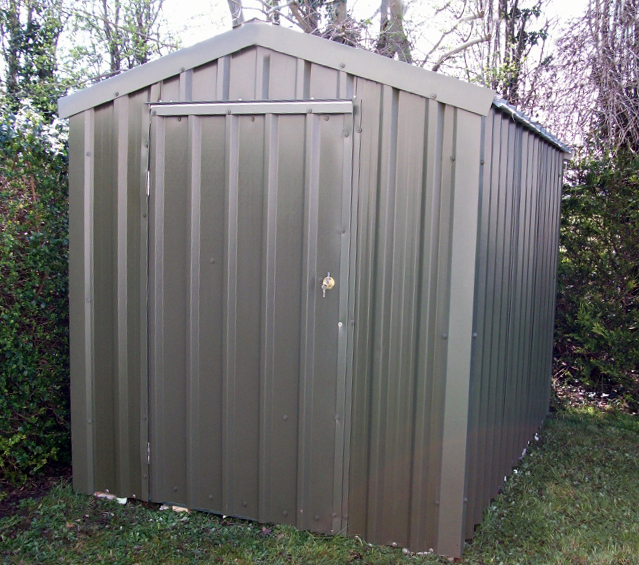 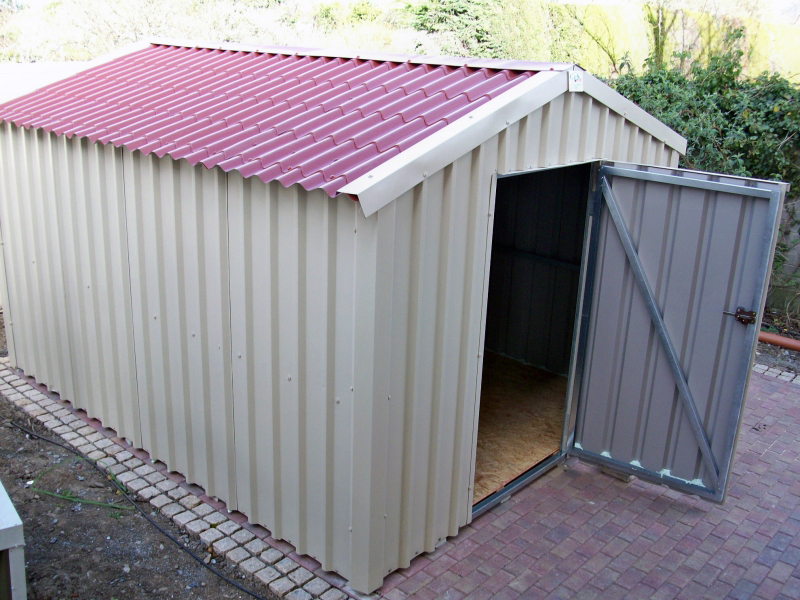 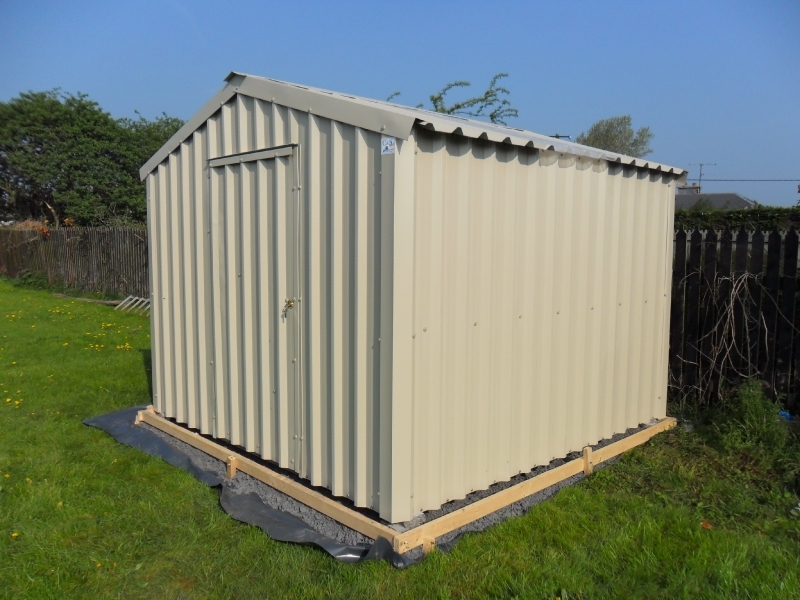 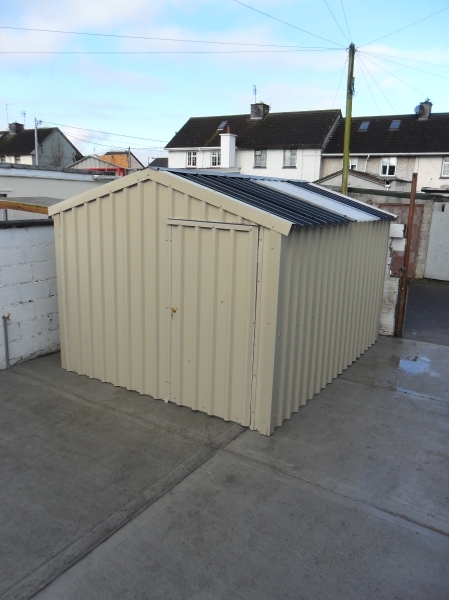 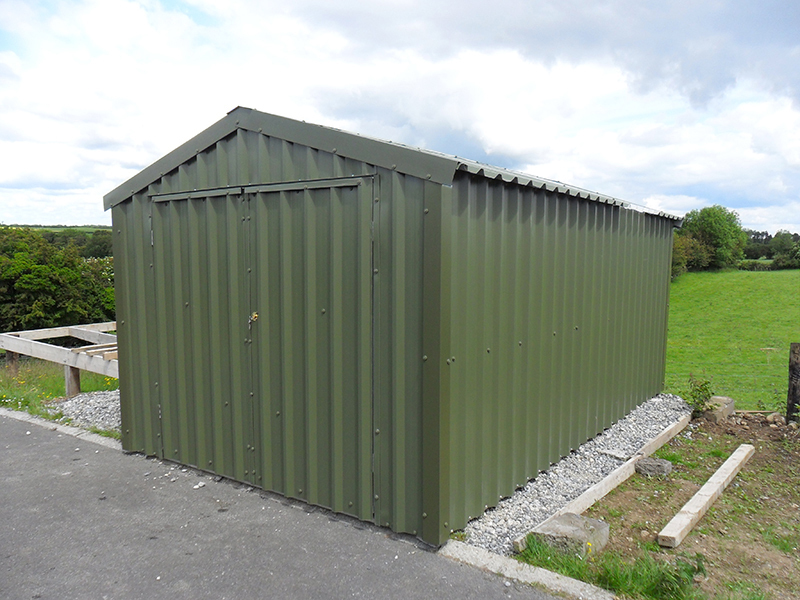 Our steel sheds are manufactured to EuroCode3 standard, so you know you're buying quality. 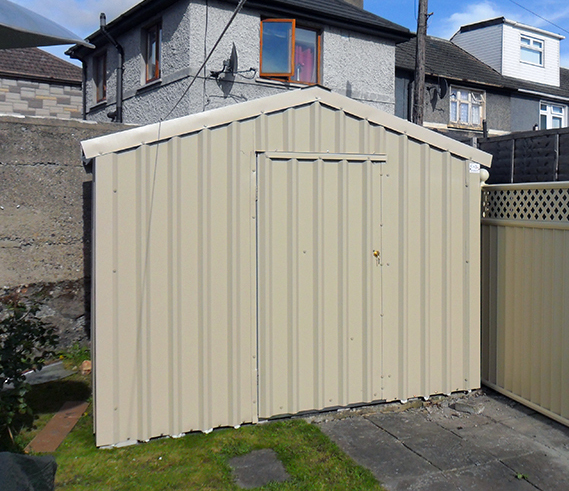 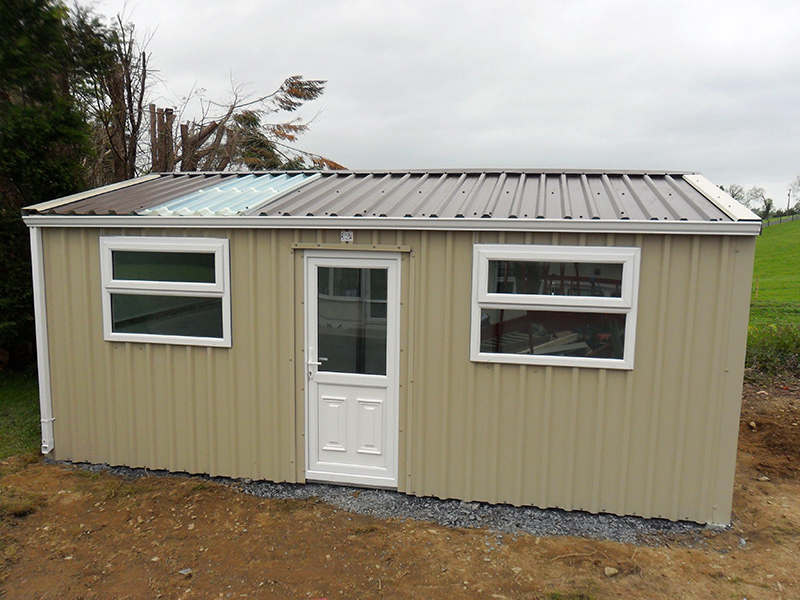 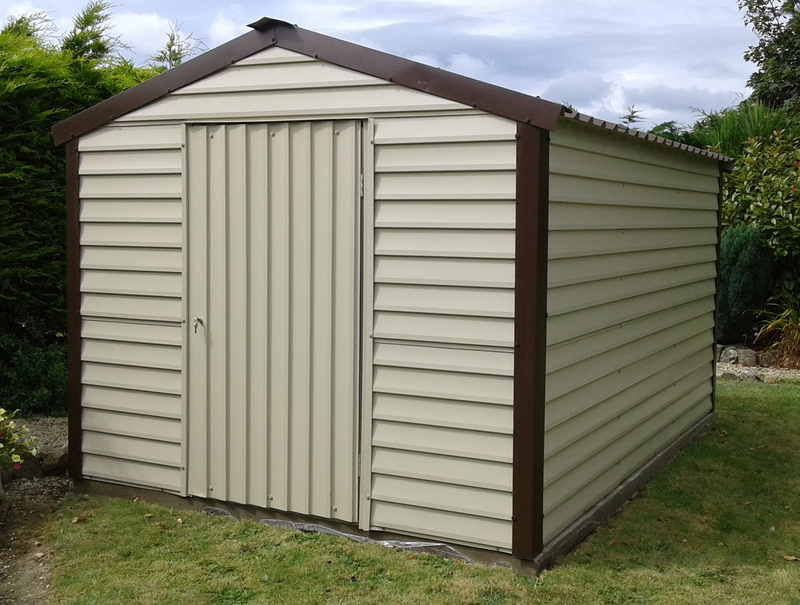 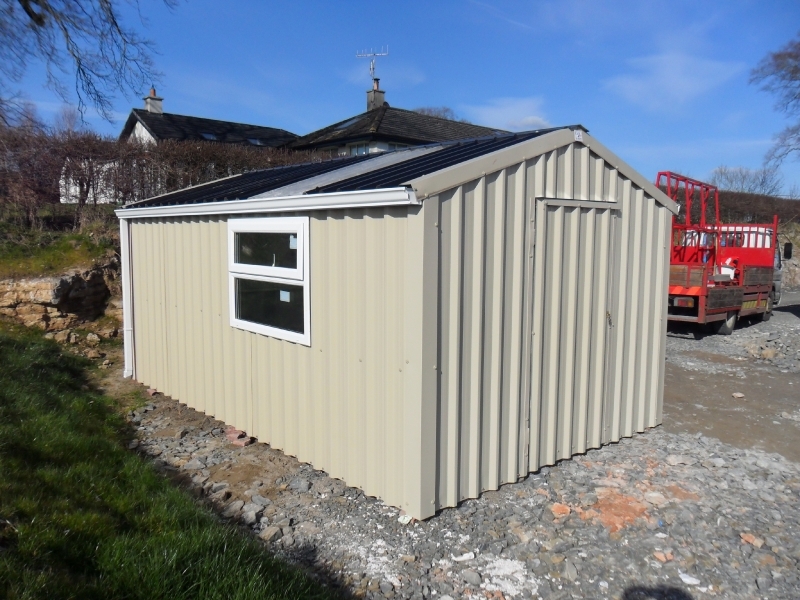 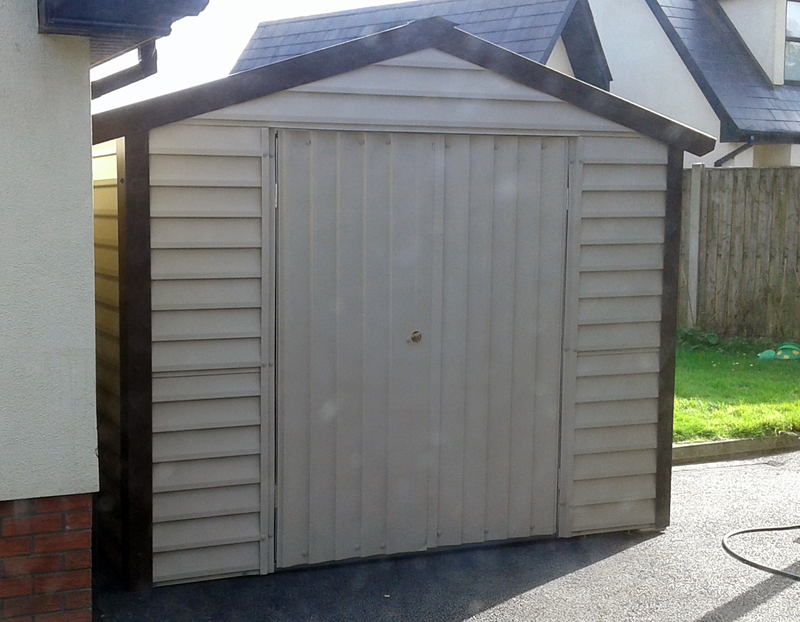 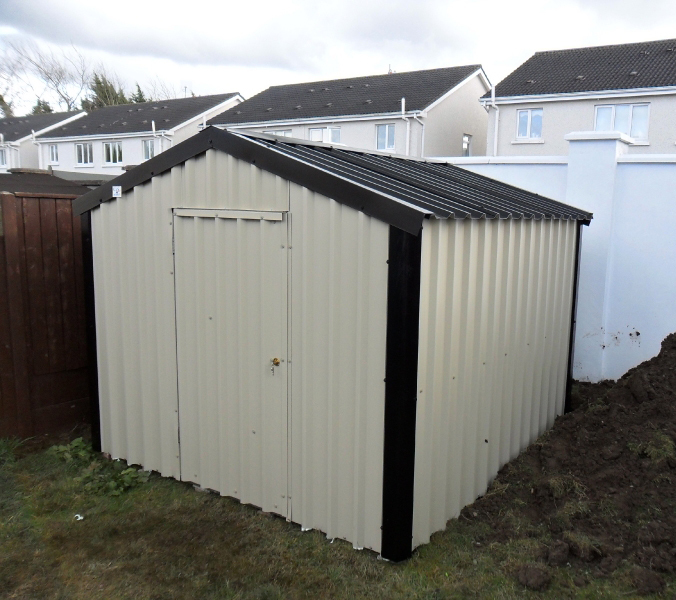 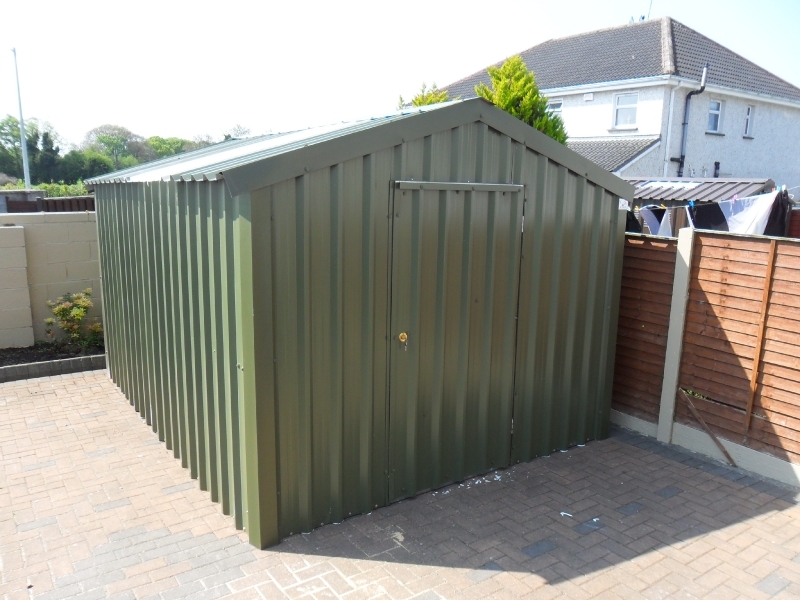 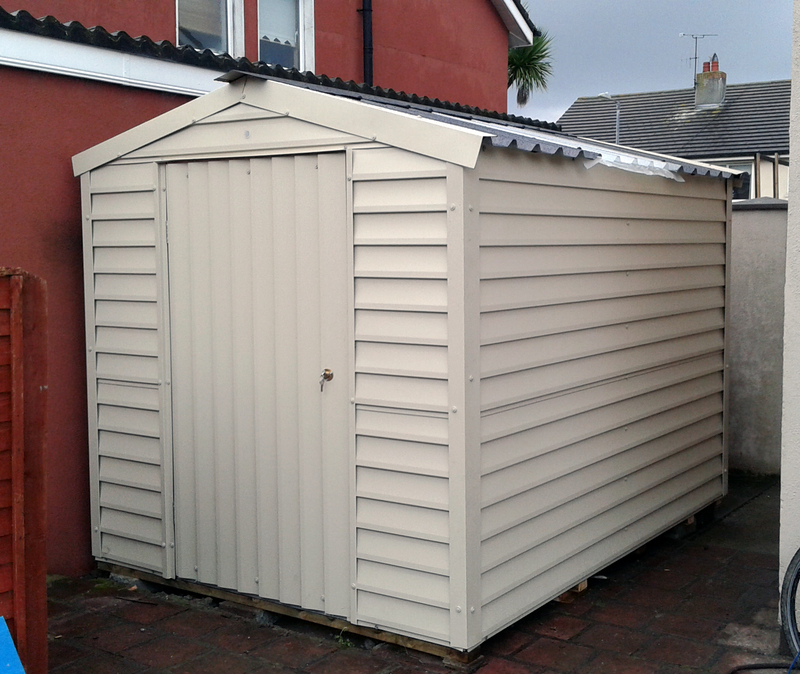 All our garden sheds are made from maintenance free PVC coated cladding and a roll-formed galvanized steel frame and all come as standard with a non-drip roof which includes at least one clear panel to allow light into the shed (larger sheds come as standard with multiple clear roof panels). 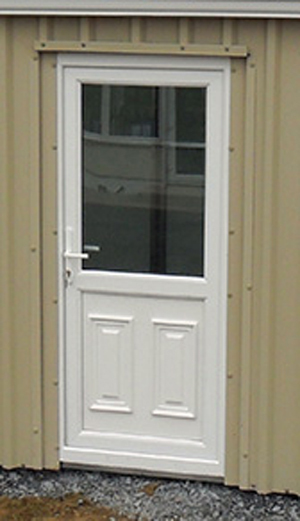 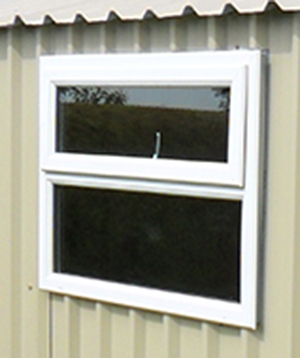 Hinges are stainless steel and doors are fitted with a key operated security lock. 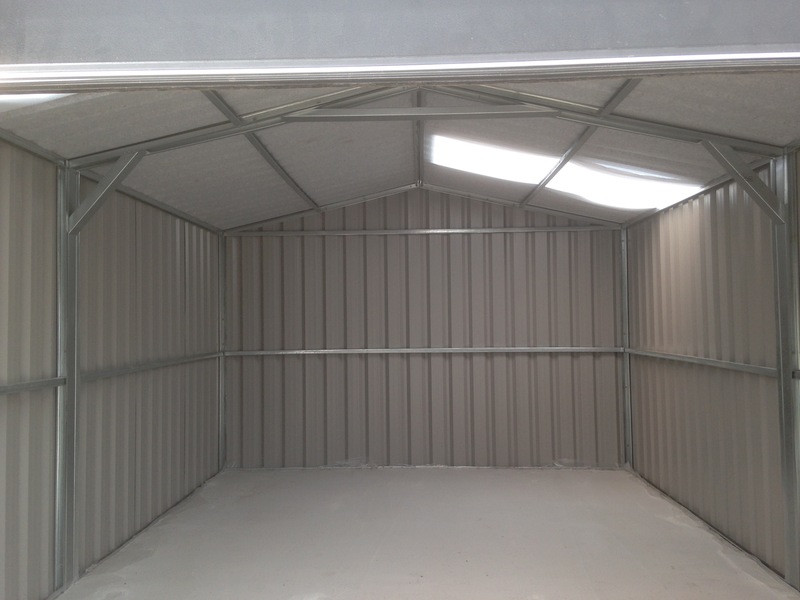 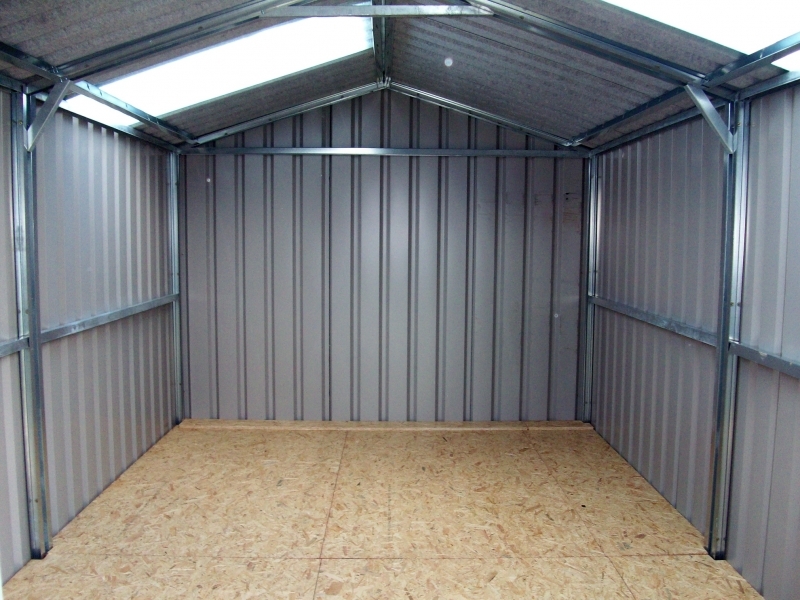 As standard, our steel sheds do not include a floor. 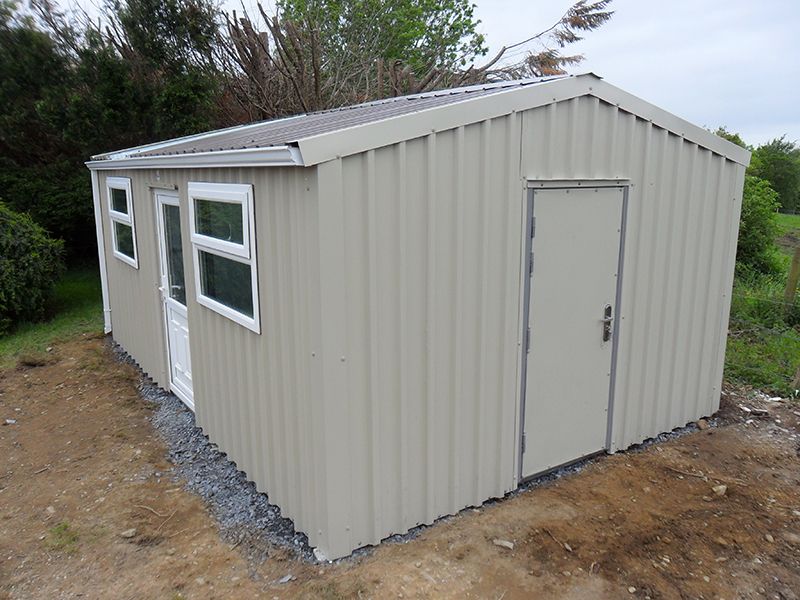 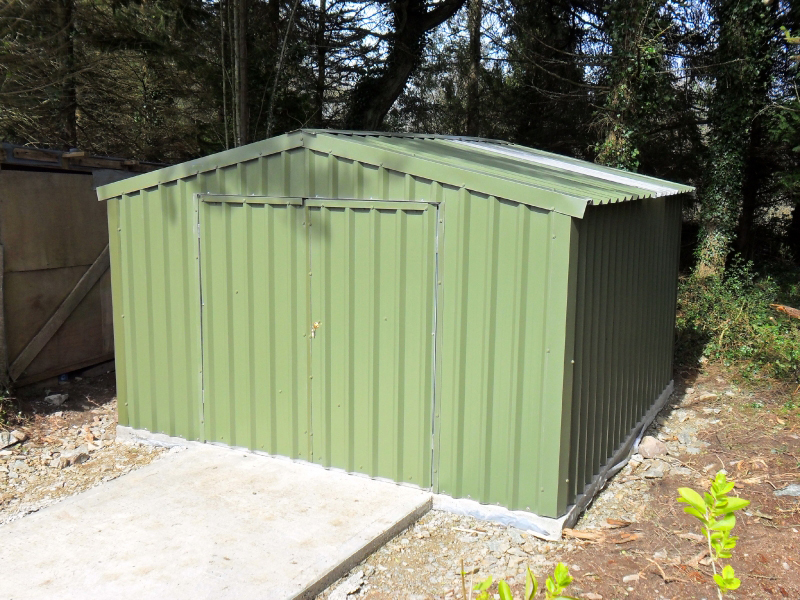 For smaller sheds, we can fit a plywood timber floor inside the shed (which would be erected onto blocks or directly onto an existing concrete or tarmac area), however ShedWorld would strongly recommend a bespoke concrete base be laid onto which we would erect your shed. 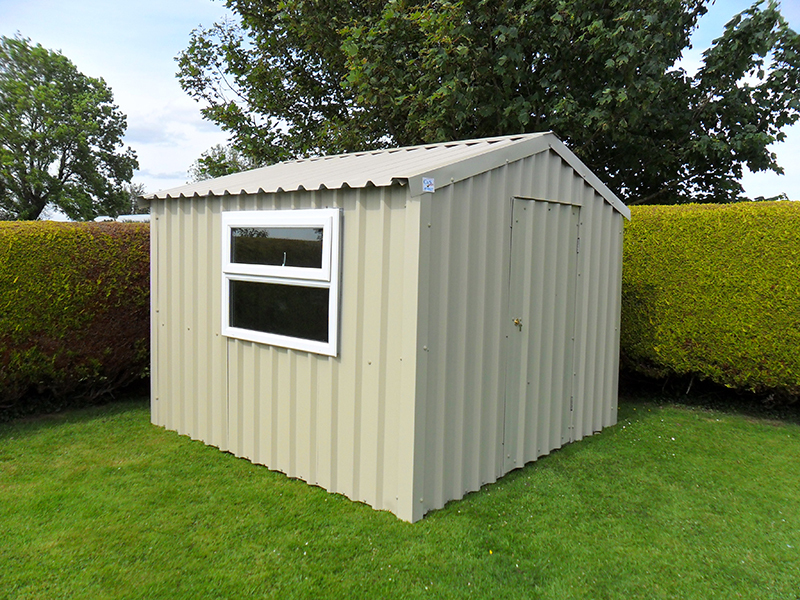 Such a base can be laid by you, the customer, but why not let ShedWorld take all the hassle out of the job and install the base for you? 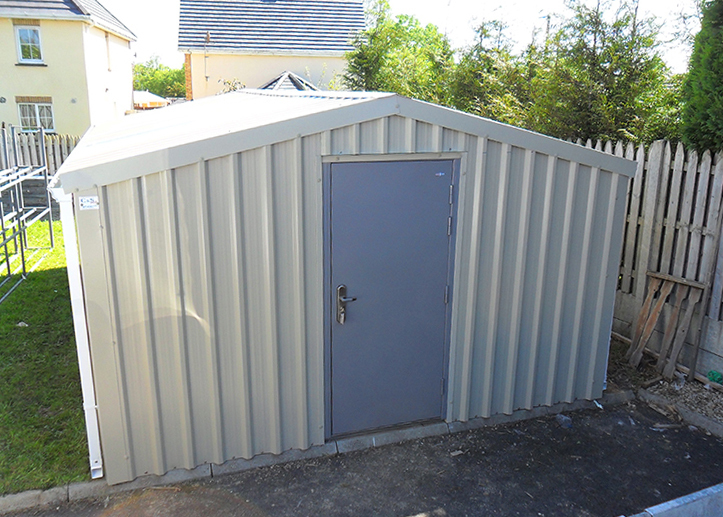 We would be happy to quote for a concrete base, laid by the experts, along with any steel shed order. 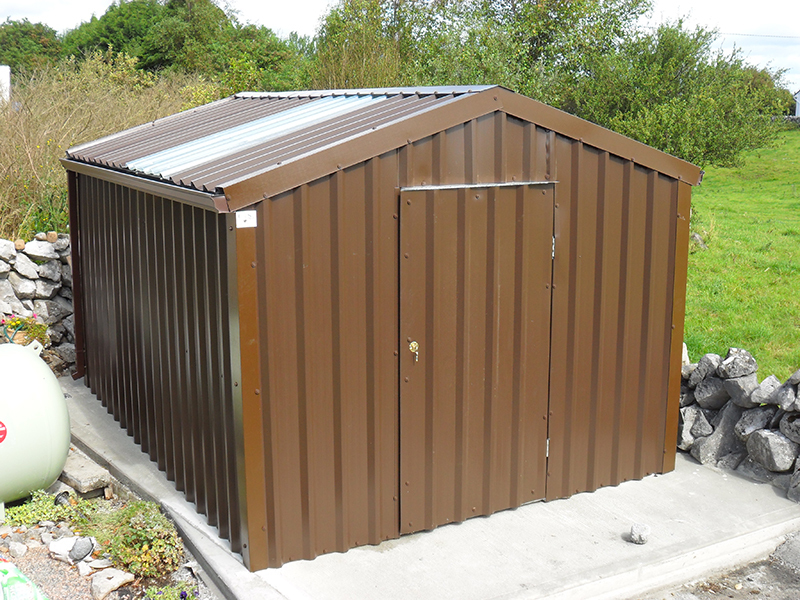 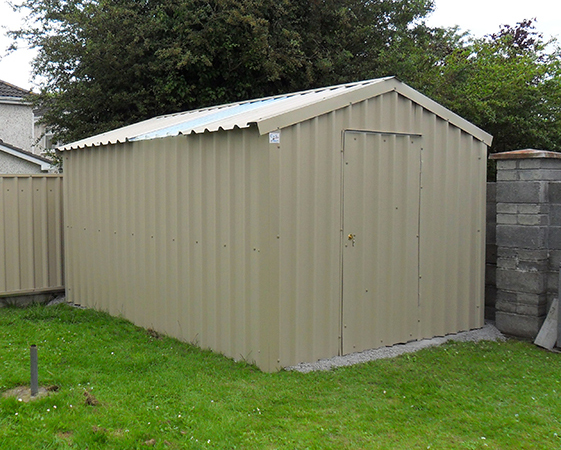 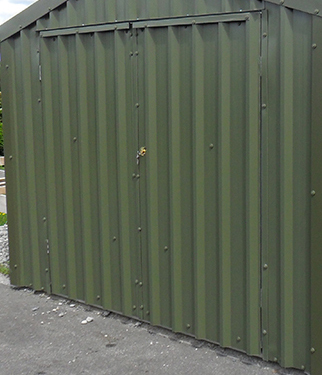 All of our steel sheds are made to order, so customisations of the basic design are not a problem. 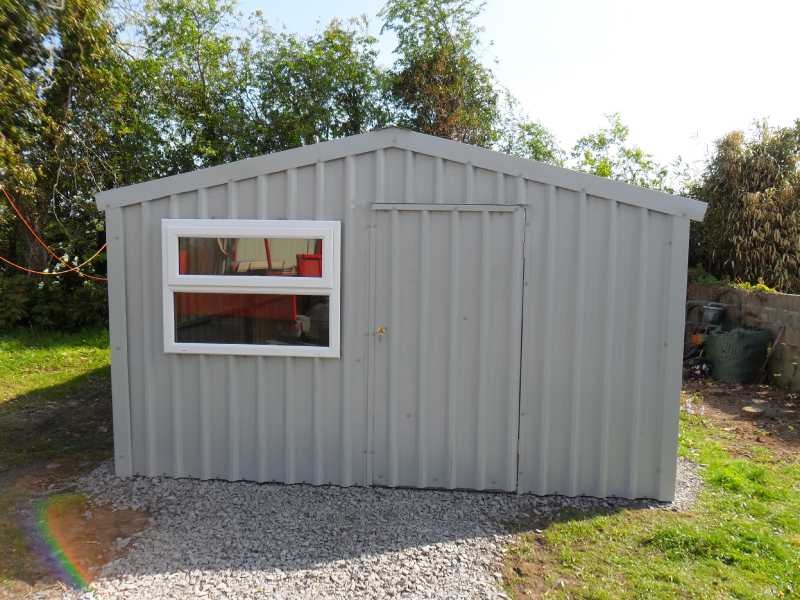 For more information on the available options, see the Upgrade Options below.